The extension was right on the boundary which meant it had to be fire rated to protect the neighbouring properties. 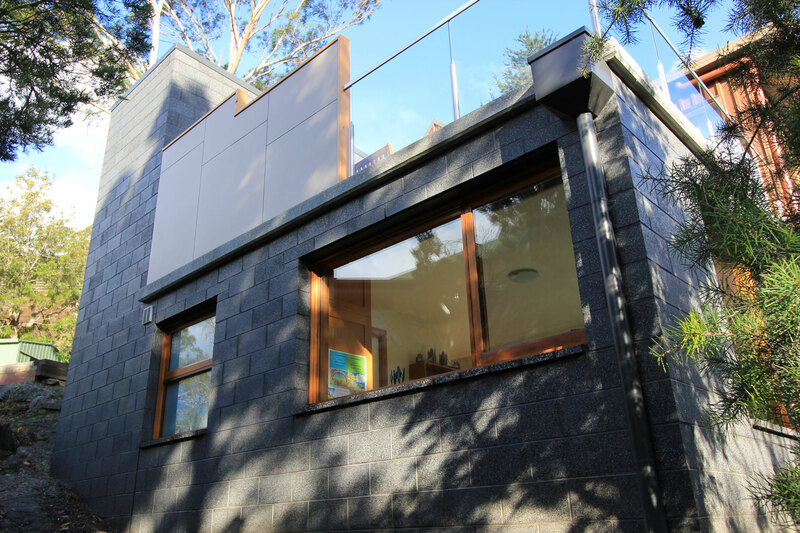 A suspended concrete slab was utilized to create a fireproof and waterproof deck. This allowed for a fantastic sunny outdoor area. 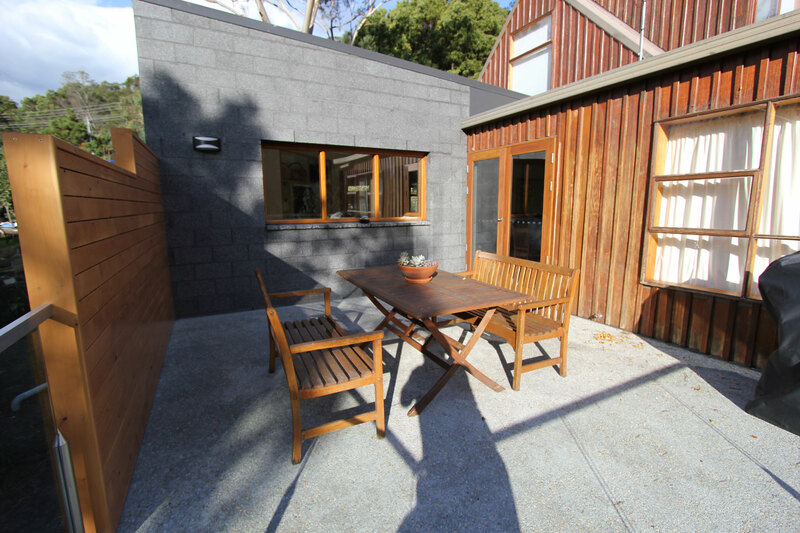 Screening consisted of painted cement sheet and celery top pine to create a private, but sunny area.